A couple weeks ago, my mom and I were out and about when it got to be lunch time and we were hungry. The usual back & forth discussion of where to eat started, with each trying to make the other decide. Finally I said, OK, Bob's, because you always mention them and we never go. 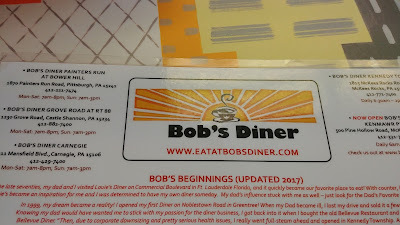 So we went to Bob's Diner in Carnegie. Mom had coffee and I had hot tea, served in Bob's Diner mugs. I ordered My Dad's Favorite (2 eggs [scrambled for me], one bacon, one sausage, home fries, one pancake, and toast). 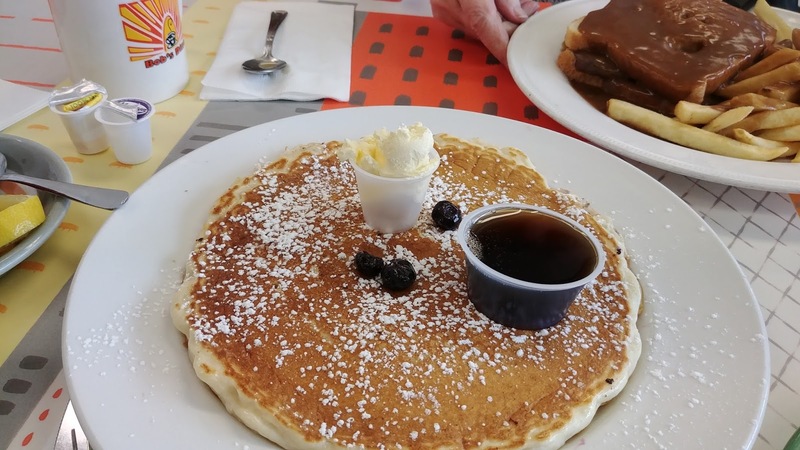 I asked for a blueberry pancake. I liked my food, I just couldn't eat it fast enough (things cooled off) nor could I finish it. I was really hungry, but even so, this was a lot of food. I never did get the toast, but I didn't complain because I knew I'd never touch it. 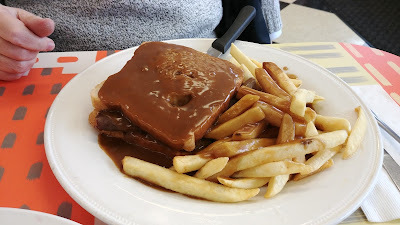 Mom chose Hot Roast Beef Sandwich with fries - she wanted gravy fries! That's one of her weaknesses and she remembers eating a lot of gravy fries when she was a kid. She liked her sandwich and fries, but couldn't finish it all. I hadn't been to Bob's in a while. 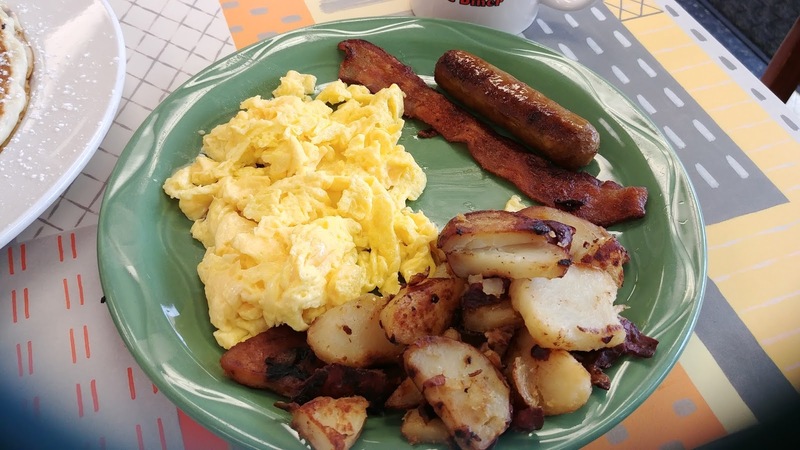 Our server was friendly, she brought mom a second mug of fresh brewed coffee before she had finished her original cup, food arrived quickly, it was tasty. 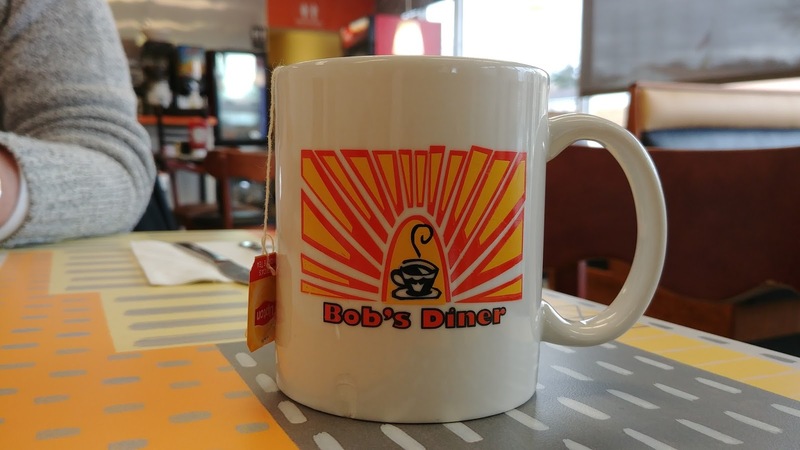 I'd go back to Bob's for breakfast/breakfast for lunch.